RFS is a long cherished dream of Suresh Productions, which with its decades of experience and know-how will soon be celebrating its Golden Jubilees in 2014. RFS was founded, four years ago, in October 2008. 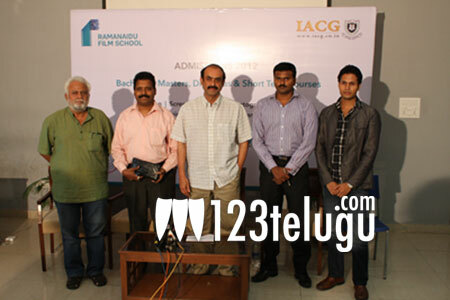 The principal vision behind that initiative, which continues to animate its everyday operations to this day, is to give back to the film and television industry and the society; an institutional frame work for the formal training of directors, cinematographers, designers, technicians and actors who will enhance the standards of Telugu Cinema and Television. The guiding norm is to treat RFS not as another business venture but to foreground it as an extension of the munificent activities of the Ramanaidu Charitable Trusts. This is the simple reason why our fee structure is lower than any other professional private film school in India as we would like filmmaking talents to emerge from any home in the region or the country. The most important objective of this institution is to provide the necessary foundation for regional students in particular to take advantage of the employment opportunities, which are growing at an unprecedented rate within both cinema and television. It is with this idea that RFS was initiated in 2008 by offering a Post-Graduate Diploma with specialization in Film and Television Direction & Screenwriting. In 2009, our second academic year we introduced an additional Post-Graduate Diploma in Cinematography; and in our third academic year, a diploma course in Film Acting. Since 2011, RFS in collaboration with Jawaharlal Nehru Architecture & Fine Arts University is offering M.F.Tech Courses in Film & Television Direction and Screenwriting; and in Film & Television Cinematography. In Collaboration with IACG RFS will be offering from this academic year (2012) Bachelors and Masters in Animation, Visual FX & Gaming. It would be also offering a string of short term one-semester courses in Screenwriting, Writing Genre, Digital Cinematography, Film Acting, Script Analysis and Saturday Courses and workshops on Film Appreciation, Storyboarding, VFX, Sound Recording & Sound Design, Production Design, Production Management, Costume Design & Makeup Art.